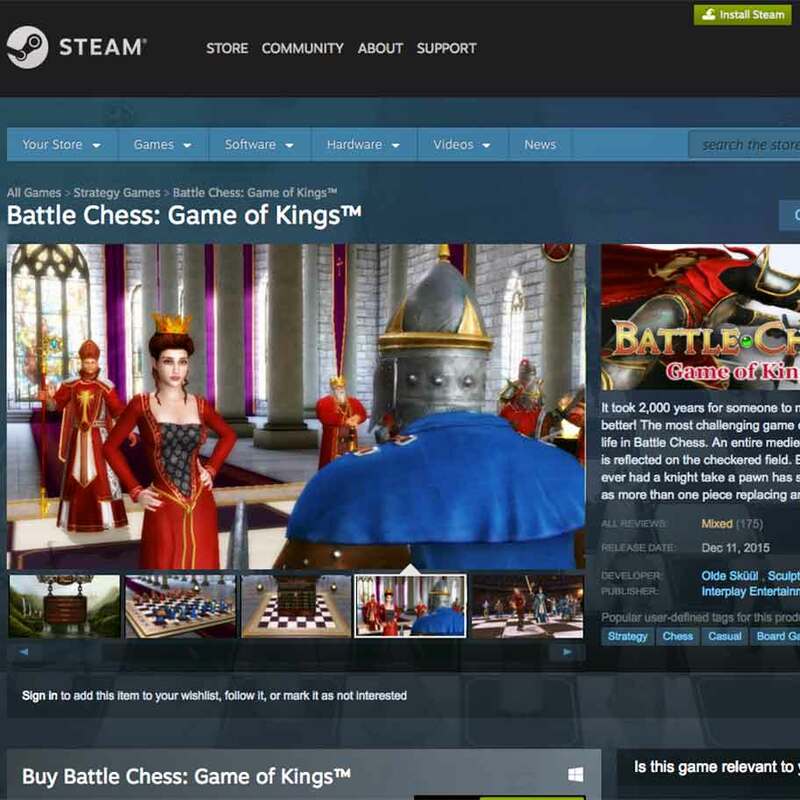 I was hired by Don Oades to be the Music Composer and Sound Designer for the video game "Battle Chess: Game of Kings" (by Olde Skuul/Subdued Software/Interplay). My responsibilities included in-game, cutscene, and promotional trailer audio. I hired an Assistant Audio Designer to assist me with the sound design. I composed and produced the original music in my home studio utilizing Pro Tools and Adobe Audition. I hired various remote voice-over artists for the in-game dialogue, and supplemented with a few local voice actors who I recorded in my studio. I acted as the Dialogue Editor for all files.